The transport department of Ho Chi Minh City has proposed a roadmap toward a complete ban on motorcycles in downtown districts from 2030, starting with a partial restriction on the two-wheeled vehicles on a number of frequently congested roads. The roadmap is part of a comprehensive scheme to improve public transport and limit personal vehicles in the southern metropolis, which has been submitted to the municipal administration for consideration. The scheme is studied and designed by the Transport Development and Strategy Institute under Vietnam’s Ministry of Transport.  The first phase of the roadmap, which lasts until 2020, includes restricting motorcycles during rush hours on Truong Son Street in Tan Binh District and a section of Nguyen Thi Minh Khai Street in District 1. Parts of Pasteur and Nam Ky Khoi Nghia Streets in District 1 will also be off-limit to motorbikes during daytime, from 7:00 am until 7:00 pm. In the second phase, from 2021 to 2025, motorbikes will no longer be allowed on the following six roads in District 1: Vo Van Kiet, Dinh Tien Hoang, Dien Bien Phu, Hai Ba Trung, Nguyen Thi Minh Khai and Nguyen Van Cu. From 2026 until 2030, the ban’s effect will gradually expand to include District 1, District 3, District 5 and District 10. After 2030, the entire center of Ho Chi Minh City, defined as the area bordered by Vo Van Kiet, Chau Van Liem, Hong Bang, Ly Thuong Kiet, Bac Hai, Cach Mang Thang Tam, Vo Thi Sau, Dinh Tien Hoang and Ton Duc Thang Streets, will be motorbike-free. The city’s public transport system will have been improved by that time to add 20-55 new bus routes as well as metro lines, meeting commuters’ demand, according to the scheme. By then, public transport will be responsible for 20-30 percent of citizens’ movements in downtown areas, the Transport Development and Strategy Institute envisions. 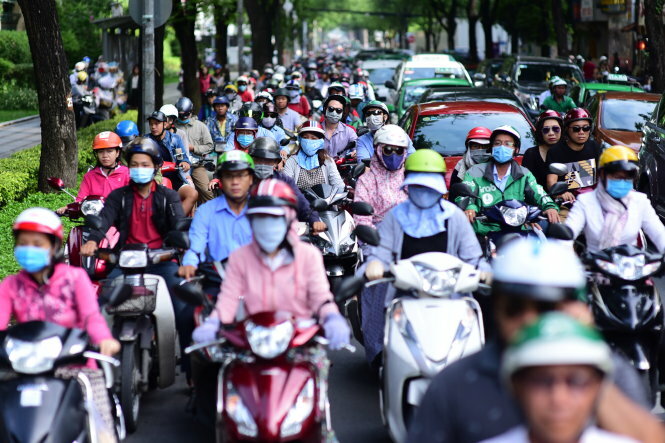 Ho Chi Minh City’s over seven million motorcycles are placing tremendous pressure on its congested roads, 65 percent of which measuring less than ten meters wide, according to the institute’s statistics. As road expansion is out of the question, the only option to cope with a growing population and limited urban space is banning personal vehicles in favor of public means of transport. Apart from the motorcycle ban, the municipal transport department also proposes raising registration fees for cars with up to nine seats to more than 15 percent of the vehicle’s value. On-street parking will also be limited as the city looks to charge drivers exponentially by the hour to discourage the use of personal vehicles in the city center. The Transport Development and Strategy Institutes cites statistics from its 2017 survey in saying that more than 62 percent of responders agreed to a restriction on personal vehicles. Hanoi, Vietnam’s second-largest city after Ho Chi Minh City, has since August 2017 rolled out a roadmap toward a complete motorcycle ban in downtown areas in 2030.